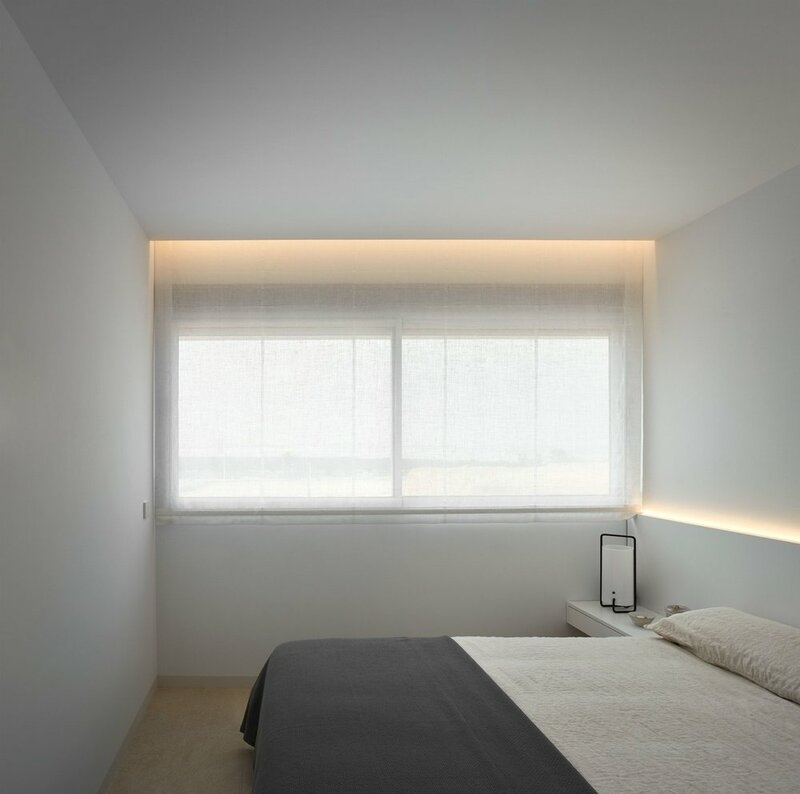 While this particular project is still under construction, Balzar Arquitectos have been able to complete their first two show homes which are being used to showcase the minimalist concepts that are scattered in and around this build. 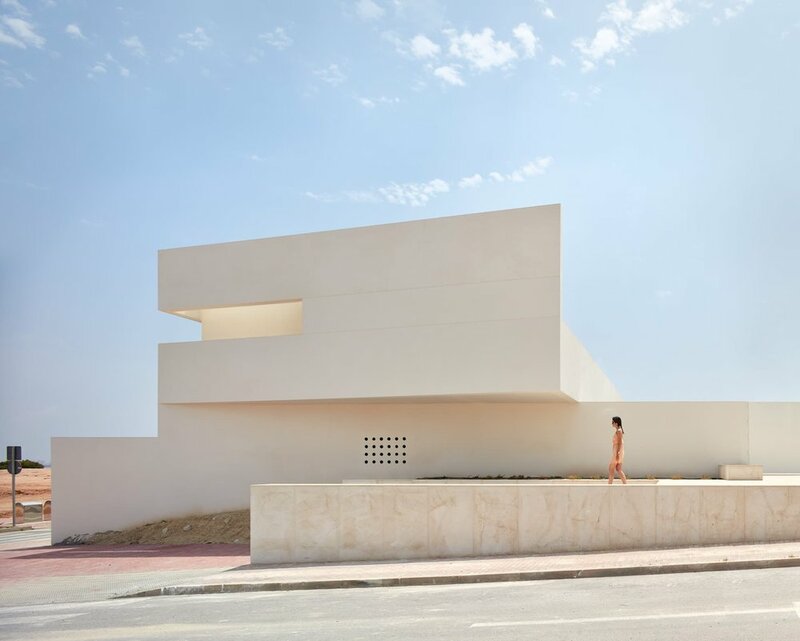 The homes are located in Torrevieja, Spain. This seaside town is located south of Alicante which has created a name for itself over the years as a major tourist attraction. 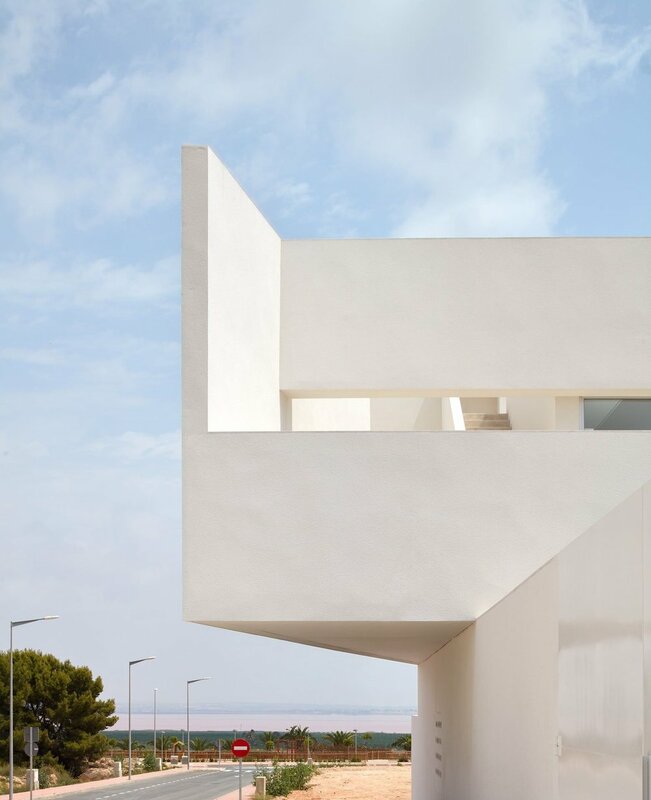 The homes are surrounded by Las Lagunas de La Mata y Torrevieja National Park which offers high landscapes and ecological value to the coast of the Mediterranean Sea. 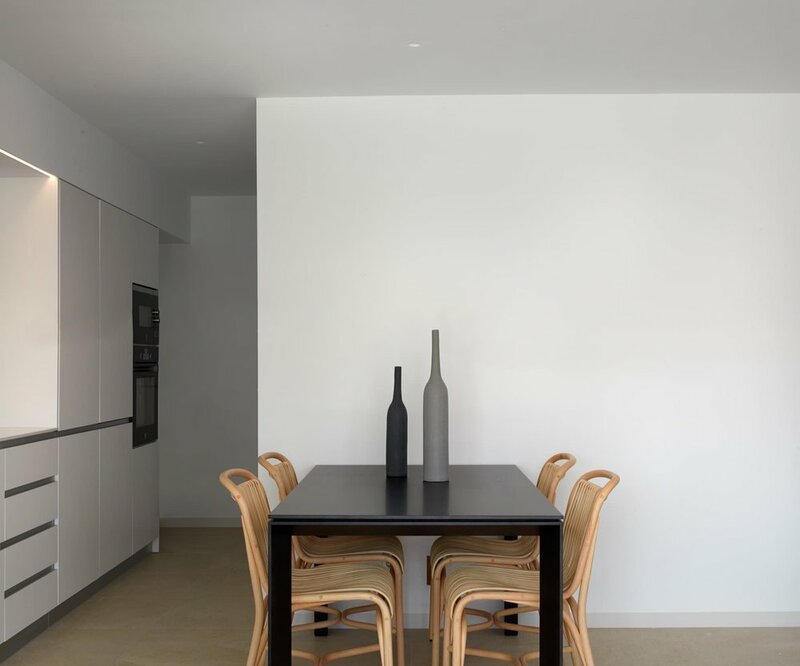 With views of the national park, a newly constructed urbanisation sits and awaits occupancy. The home that Balzar Arquitectos have designed sits within a triangular block form that provides the perfect focus. 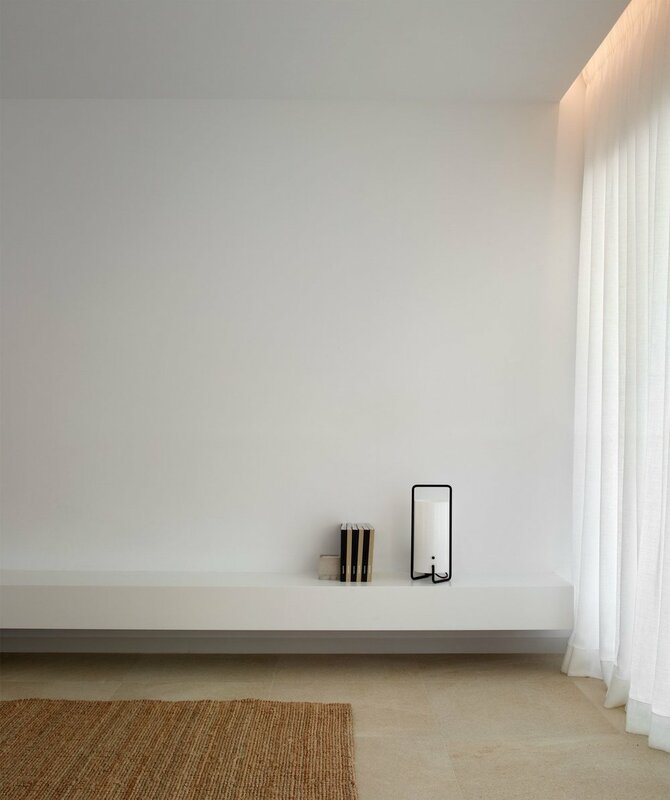 The interior, while still a show home, is elegant and offers simple, clean lines creating a soft touch. 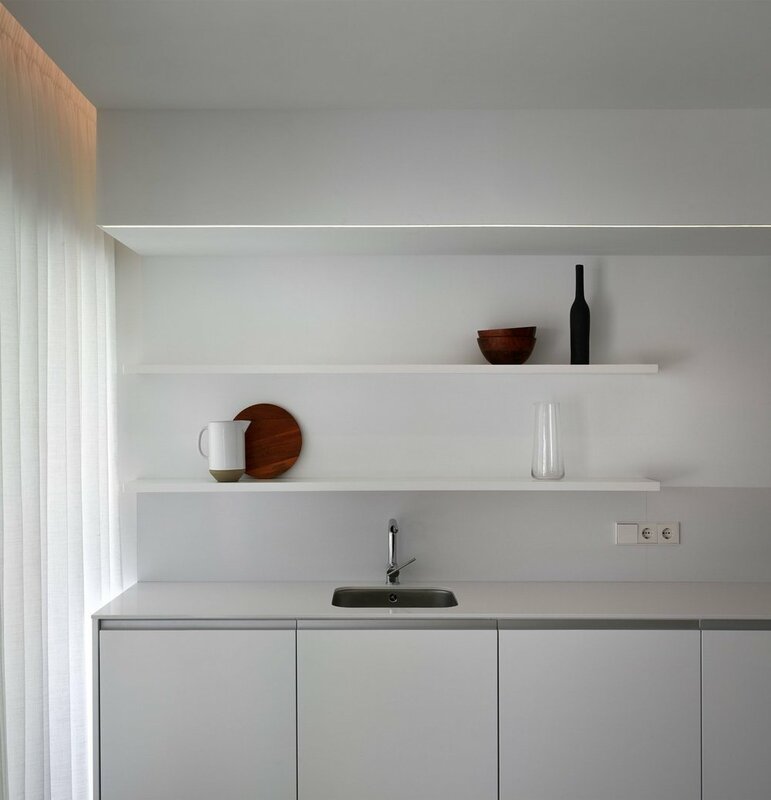 Built-in shelving within both the bedrooms and living rooms provide a sense of level and balance. The exterior has been washed with white that creates a smooth canvas working well with the almost pastelle landscapes that surround the property.